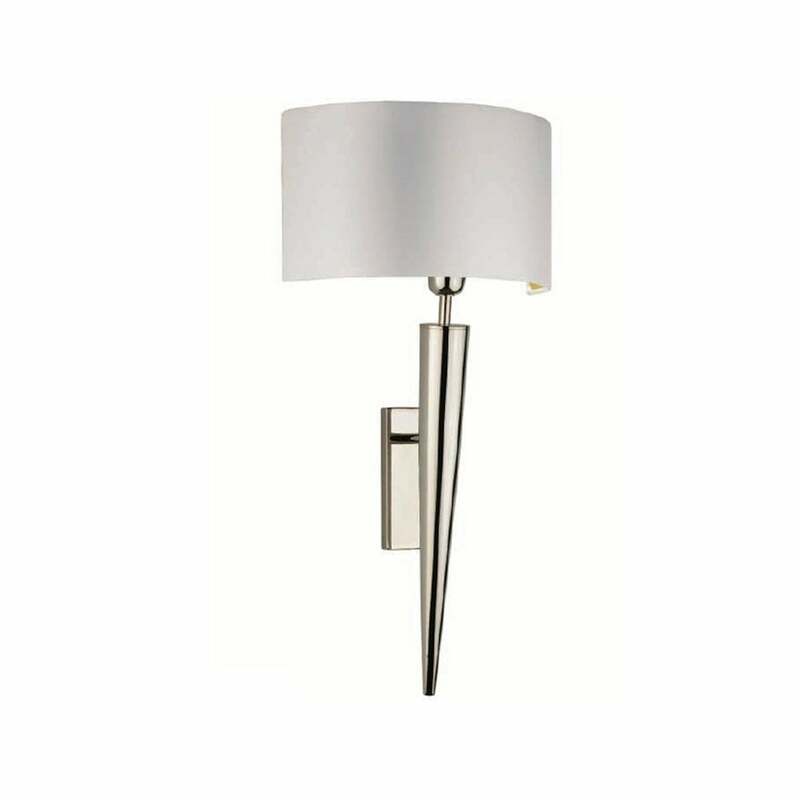 This contemporary, modern wall light is part of the Torchere range from Heathfield & Co. The Torchere range combines an elegant, conical base tapering upwards to reveal a stylish, satin shade. With a variety of finishes to suit all interior schemes, the lamp is available in steel, nickel or antique brass. Transform the design with a complementing shade, also available in a variety of colourways. Seen here in crescent, ivory satin for a chic, modern finish.